Bridge over the Tasman Highway artist's impression. 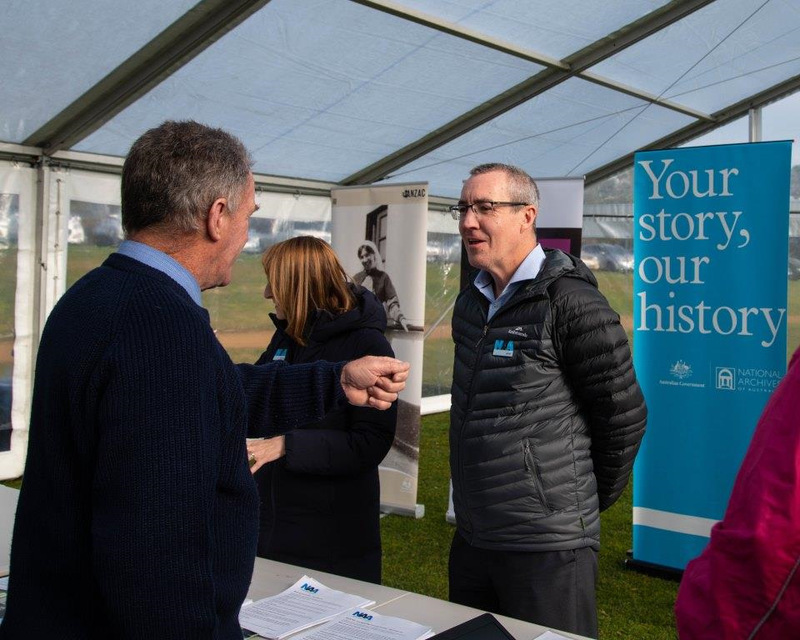 The City of Hobart is working with Fulton Hogan – our bridge construction partner – to install a new, all-abilities pedestrian and bicycle bridge over the Tasman Highway to link two of Hobart’s most significant places of remembrance – the Cenotaph and Soldiers Memorial Avenue on the Queens Domain. The bridge is timed to be completed by 11 November 2018 to align with the Centenary of the Armistice that ended the First World War on the 11th hour of the 11th day in the 11th month of 1918. The 2013 Queens Domain Master Plan identified the need to construct a link over the Tasman Highway as one of a number of ways to enliven and further develop each of the principle precincts of the Domain as activity centres. The Master Plan states: ‘The Queens Domain is a public asset that should be developed as a major destination for residents within and visitors to Southern Tasmania. The Queens Domain should be the “jewel in the crown” of the city’s parks and open space.' The new bridge seeks to enhance access the Domain for education, recreation, health and enjoyment, for both Hobart residents and visitors. The location for the new bridge builds on the City’s Inner City Action Plan, responding directly to key recommendations from the Gehl Architects Report, Hobart 2010 Public Spaces and Public Life – a city with people in mind. The report recommends making walking the most attractive mode of transport by giving high priority to pedestrians to create more lively and social environments. An important part of that aim is to provide convenient walking links to key destinations. For more information, visit the Inner City Action Plan webpage and the Queens Domain webpage for the Queens Domain Master Plan 2013-33. The pedestrian and cycling bridge will provide a safe connection between the Doone Kennedy Hobart Aquatic Centre, the many sporting facilities on the Domain and the Regatta Grounds, the intercity cycleway and Sullivans Cove. The works on the bridge use local subcontractors and suppliers, along with steel fabricated by Haywards – a Launceston-based premier steel fabrication and engineering company. Protective measures are also in place to preserve vegetation and cultural heritage sites during the build. A high quality design to provide a visually striking gateway into the city of Hobart. Accessible to people of all abilities. Over 6.5 m high for over-sized vehicles over two lanes of the Tasman Highway and a minimum of 5.4 m high over all other lanes. Will the construction activities cause noise and will the environment be protected? As this is a large-scale project there will be activities that will cause noise and dust emission. Best practice will be applied to protect the environment during construction. Environmental controls will be installed to protect sensitive receivers from the impact of construction activities. An Environmental Management Plan has been developed for the specific requirements of the project. Water in combination with other approaches, may be used to reduce dust emission. There will be a minimal impact on existing memorials, including trees. Will the view to the Cenotaph be blocked by the bridge? The bridge is on a direct axis to the cenotaph, the Cenotaph is only blocked if the car on the highway is in a position where the abutments obscure the view. There are few if any other locations where the view to the Cenotaph is blocked from view, any more than it is now. Will the use of the Regatta Grounds for parking be impacted by the bridge? There will be no impact from the bridge on the use of the Regatta Grounds for parking such as pre-Christmas and special event park and ride. After all the ponderings, planning, preparations, the one thing that we couldn’t control absolutely was the weather. But the gods certainly smiled on us and turned on some magnificent sunshine, a light breeze and no rain! Given how cold and wet it has been later in August, we were certainly blessed. A crowd estimated at 1,000 people turned out, including 500 children and staff from 10 schools. 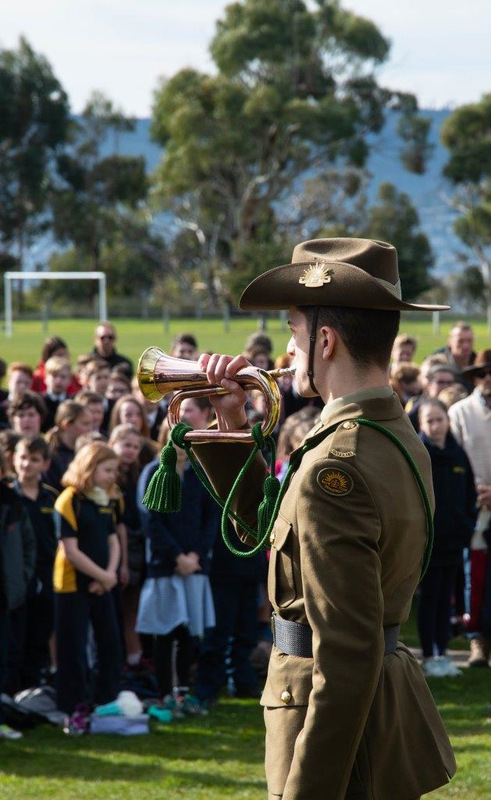 The Australian Army Band Tasmania and Ogilvie Choir admirably provided the musical pieces on the day. Our thanks to the speakers and all invited guests, plus FOSMA members, friends and supporters for their attendance and support. Good morning everyone. It is a great privilege to participate in this ceremony today and I thank the Friends of the Soldiers Memorial Avenue for inviting Margaret and me to this centenary celebration. May I begin by paying my respects to the traditional and original owners of this land — the Mouheneener people. I acknowledge the contemporary Tasmanian Aboriginal community, who have survived invasion and dispossession, and continue to maintain their identity, culture and Indigenous rights. Mr Terry Roe, President RSL Tasmanian Branch. As many of you will know, Her Excellency the Governor is currently out of the State and as such, I am honoured to be here today in my capacity as Lieutenant Governor. 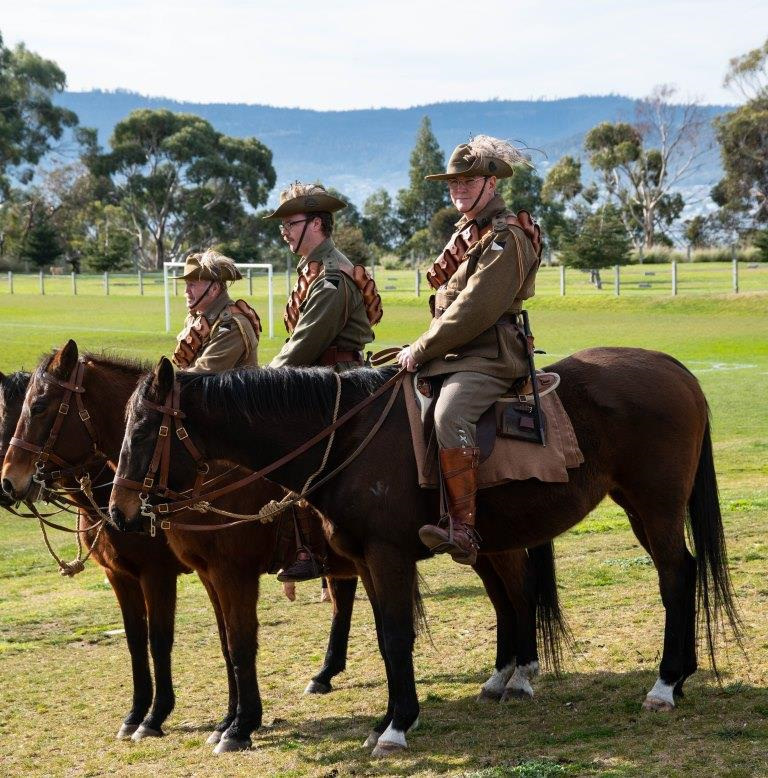 This is indeed a remarkable coincidence, because exactly 100 years ago — on the 3rd August 1918 — in preparation for the formal opening of the Soldiers Memorial Avenue, the then Governor Sir Francis Newdegate was conducting a final inspection of the venue on the Domain when he was thrown from his horse and broke his leg. As a consequence, the official opening was conducted by the Lieutenant Governor, Chief Justice Sir Herbert Nicholls. 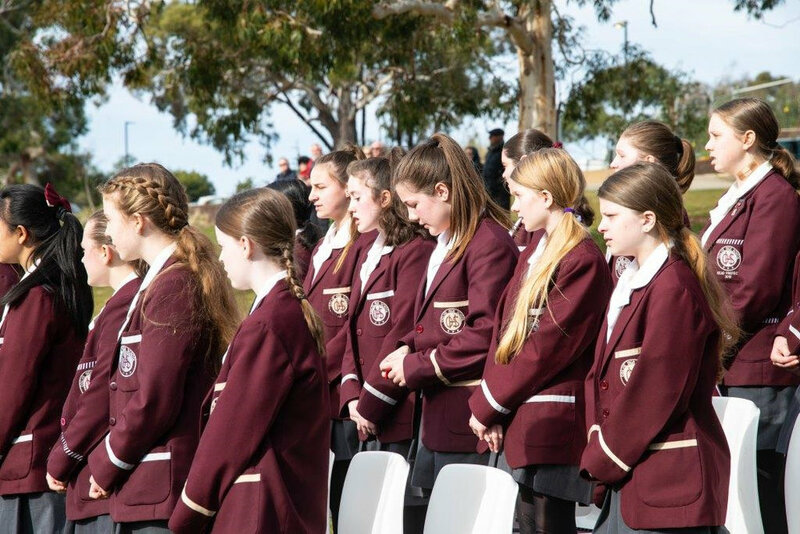 Governor Newdegate did participate in the second planting day in February 1919; and it is clear that throughout the past 100 years there has been a close and enduring link between Tasmanian Governors and the Soldiers Memorial Avenue. 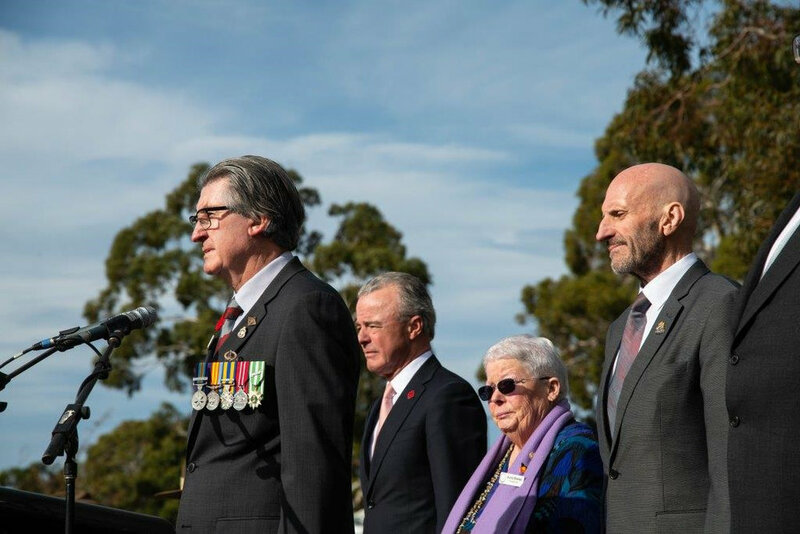 In fact, our current Governor, Her Excellency Professor the Honourable Kate Warner AC, is Patron of the Friends of the Soldiers Memorial Avenue, as have been all previous Tasmanian Governors since shortly after the organisation was formed in 2001. Construction is now almost complete on the shared pedestrian/cycleway bridge that will cross the Tasman Highway and will provide a reconnection between the Hobart Cenotaph and the Soldiers Memorial Avenue. It is envisaged that visitors will, as a result, recognise the historically important relationship between these two memorials. It is my hope that the Friends of the Soldiers Memorial Avenue continue their magnificent work here and that this memorial continues to provide a place to remember those who lost their lives at war. Walking along the Avenue, finding the tree and plaque of a relative, reading the plaques of the soldiers who lost their lives is a wonderful way to remember them and understand the sacrifices paid for our freedoms. 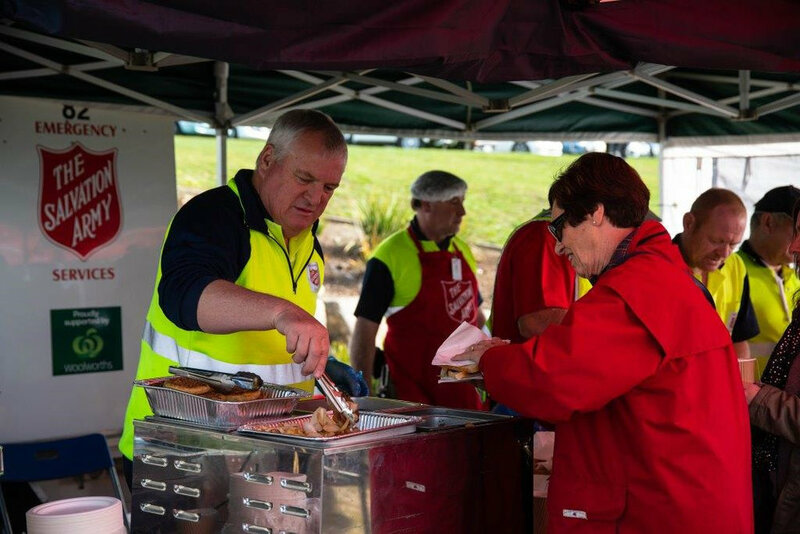 I know that the tireless work of your dedicated FOSMA committee and your enthusiastic volunteers and the continued support of Hobart City Council and other organisations have assisted in keeping the vision of the original organisers of this project very much alive for the past 100 years. This ceremony is therefore a fitting tribute to those fallen who we remember here; and to all those who have and who continue to ensure that their names remain with us. Lest we forget. AUSTRALIANS all let us rejoice, for we are young and free. First line of our national anthem. We sing it often. We hear it sung often. Less often do we pause to reflect on what it really means. Therein lies life’s great paradox. It is often those things most important to us that we have a tendency to take for granted. The magic vitality of youth, the value of which is unknown until finally gone; families who love us, giving meaning and context to our lives; Australian citizenship — whether conferred by birth or by choice, bringing with it political, economic and religious freedoms; to live in a society where faith co-exists with reason, free academic inquiry, a free press and independent judiciary. We are Australians. We are defined so less by our constitution and the machinery of a democracy given to us by the British, than we are by our values and our beliefs; the way we relate to one another and see our place in the world. We are shaped most by our triumphs and our failures; our heroes and our villains; the way as a people we have faced adversity a nd how we will face the inevitable adversities that are coming and respond to emerging, unseen horizons. And we are. We are damned proud. Millennia of rich indigenous history, custodianship and culture were devastated by the arrival of the British Fleet in 1788. But from that event and all that would follow, the origins of the Australia we now are and the people we have become. We finally federated in 1901 and gazetted our flag in 1903. But until the cataclysm that unfolded late in 1914, we regarded ourselves as British. Our young nation overwhelming embraced the war. We were 4.5 million people, Tasmania barely 200,000. From one million men eligible to enlist from a nation that twice said no to conscription, 417,000 did. Aboriginal Australians denied their Aboriginality and kinship to serve, fight and die for the young nation that had taken so much from them. We sent 333,000 overseas including 13,000 Tasmanians. A series of largely catastrophic military battles ensued until the stunning leadership of the Australian Corps by General Sir John Monash in 1918. We emerged victorious, but inconsolably mourning 62,000 dead. In mourning its 2700 dead, Tasmania like the rest of the nation was deeply divided, more so than at any time in our history. We lived with another 60,000 who would die within a decade of returning to Australia. Yet we remained true to our young, brittle democracy. In doing so we emerged with a greater belief in ourselves and, in time, a deeper understanding of what it means to be — an Australian. It is tempting, human beings that we are, to settle for headlines, broad brushstrokes, popular imagery and mythology of our history. Our modern, comfortable lives breed easy indifference to sacrifices made in our name, devotion to duty and to our country. On Monday, August 20, at 3.02am, 10 letters will be projected a metre high on to the front of the Australian War Memorial, immediately below the Byzantine-inspired dome of the Hall of Memory. Within it is interred the Tomb of the Unknown Australian Soldier. That name, along with all our 62,000 First World War dead, is being projected to remind us to never allow the past to become a distant stranger. It also reminds us that we are Australians and there are truths by which we live. The names can be read down Anzac Parade. Margetts’ grave survived the battle, but not the war. We have a photograph — a desolate, small white cross on a Pozieres’ moonscape. His tree and plaque is here — number 430, in the heart of the home he loved. There are voices who argue that resources invested in memorials and acts of remembrance should instead be spent on veterans. This and similar memorials around our nation play a diverse and vital role. They are repositories of love and ennobled memory, lending meaning where there was none. They remind us from where we came, those who gave us what we have and made us who we are. They remind us of the truths by which we live and of the values that define and bind us. Much is said in public discourse of our national interests. In walking this memorial avenue, we are reminded that transcending all else are our values. Our interests are our values and our values are our interests. Values of courage — both physical and moral; endurance, sacrifice, honour, integrity and mateship — the spirit that binds us as a people. This memorial reminds and challenges every one of us to strive to be people worthy of such sacrifices. We honour them best by the way we live our lives and shape our nation. Everynation has its story. This is our story. For we are young, and we are free. A drones-eye view of the Ceremony.